There is plenty to keep the kids amused, whatever the weather! 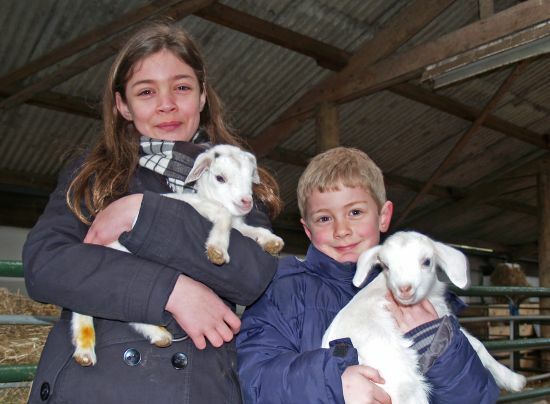 Whitehouse Farm Centre with indoor and outdoor play facilities; hands on animal petting and feeding sessions; loads of creatures to visit with and lots of it under cover, this is an all weather treat that ticks all the boxes! Chain Bridge Honey Farm Family friendly working bee farm, with a great visitor centre from which you can learn and observe the foundations of the work. A most popular display is the observation hive where a living colony of bees can be viewed behind glass. Swan Centre For Leisure Features a 25m swimming pool which include inflatables, waves and flume sessions plus lessons, lane swimming, age zoned sessions and more besides. Friendly, warm and great exercise! Alnwick Castle A worthwhile experience from several angles: historically significant and luxuriantly furnished with antiques plus art and artefact exhibits on the one hand, and an adventurous Knight's Quest adventure full of immersive interactive activities from the dress up through to the dragon! Bamburgh Castle dominates this part of the beautiful Northumberland coast and is perfect for exploring with the kids. There are 14 public areas to tour, live archaeological excavations to watch and loads of fascinating history to learn! The Bunker Crazy Golf An 18 hole outdoor course with locally themed landmarks around the greens and great scenic views. Fun for all, with soft play and fish and chip shop next door! Heatherslaw Light Railway A weatherproof or sun loving 15 inch gauge steam rail ride, with fully enclosed, partly glazed, and fully open carriage options! Travel alongside the River Till and do some otter spotting or jump off at the stations and explore! The Alnwick Garden One of the most exciting contemporary gardens to be developed in the last century, it is a magical landscape of unique gardens, features and structures, with walkways in the sky, rope bridges and a Woodland Walk. Bamburgh Beach Miles of sandy beach looking up at Bamburgh Castle. Swimming, surfing and windsurfing permitted but no lifeguard cover. A walk to the south may reveal seals! Northumberlandia Explore the 4 miles of trails around the body of an enormous lady reclining on the countryside, sculpted from 1.5 million tonnes of ground! With visitor centre, cafe and friendly experts to chat with, this is a walk you simply won't forget. Unique!